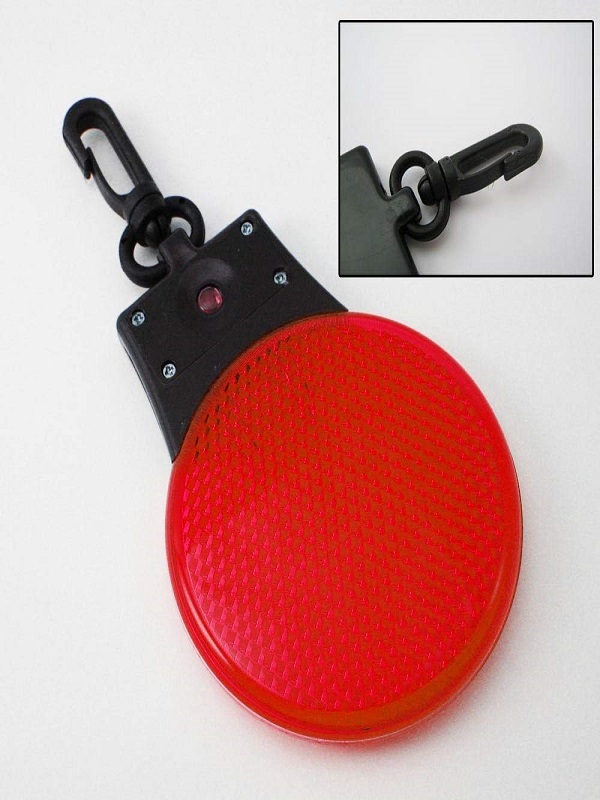 Keep yourself or your pet safe & seen in the dark with this flashing reflective disc tag. Use it when: hiking, biking, walking, jogging, climbing, pet walking, walking kids to and from school. 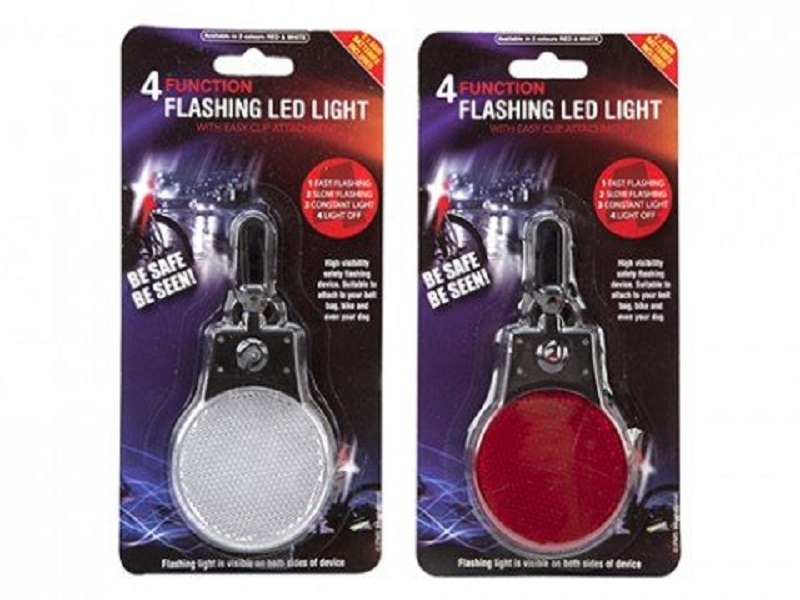 Batteries are included, just push the belt clip to turn on and you're ready! 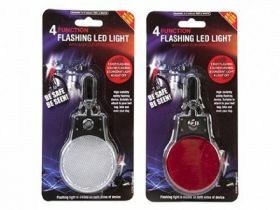 Comes with 3 flash modes: slow, fast and continuous.